Ceramic tiles printed with Xennia’s digital inksXennia Technology has announced that its XenInx Zircon range of digital ceramic inkjet inks has been awarded formal approval for use in all models of the Xaar 1001 recirculating printheads. 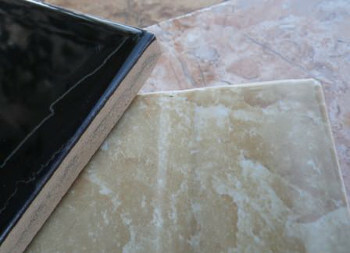 The company’s digital inks have been used in ceramic tile production environments in key markets for several years. Xennia said the inks provide ceramic tile manufacturers with the ability to create high colour intensity prints which deliver excellent print quality for both wall and floor tiles. “The announcement of this approval validates the performance and reliability of XenInx Zircon ceramic inks seen in the field. Xennia’s inkjet module and ink technology is currently powering over 500 digital ceramic solutions on production lines globally. Xennia is the only ceramic ink supplier with roots in industrial inkjet technology and has almost 20 years of experience in delivering high performance, single-pass digital solutions to customers around the world,” commented Dave Varty, Xennia’s Sales Director. Duncan Gellatly, Ink Business Manager, Xaar said, “Xennia is an important digital ink supplier to the ceramic tile industry and we are pleased to give formal approval to the XenInx Zircon inks. The Zircon inks showed excellent performance in the Xaar 1001 printhead under intensive testing conditions. The XenInx Zircon ink range is suitable for use with a wide variety of glazes for wall and floor tiles, providing an extended colour gamut designed to give high impact vibrant colours. Zircon inks are available for use in both Xennia digital ceramic tile printers and third party digital printers based on approved printhead technologies. For more information about Xennia, please visit www.xennia.com.